Our speaker is Katherine Haas, Associate Curator at the Rosenbach Museum & Library. Kathy will speak about the history of early children’s books from the religious tracts of Puritan printers to the adventure novels of the 19th century. Questions? 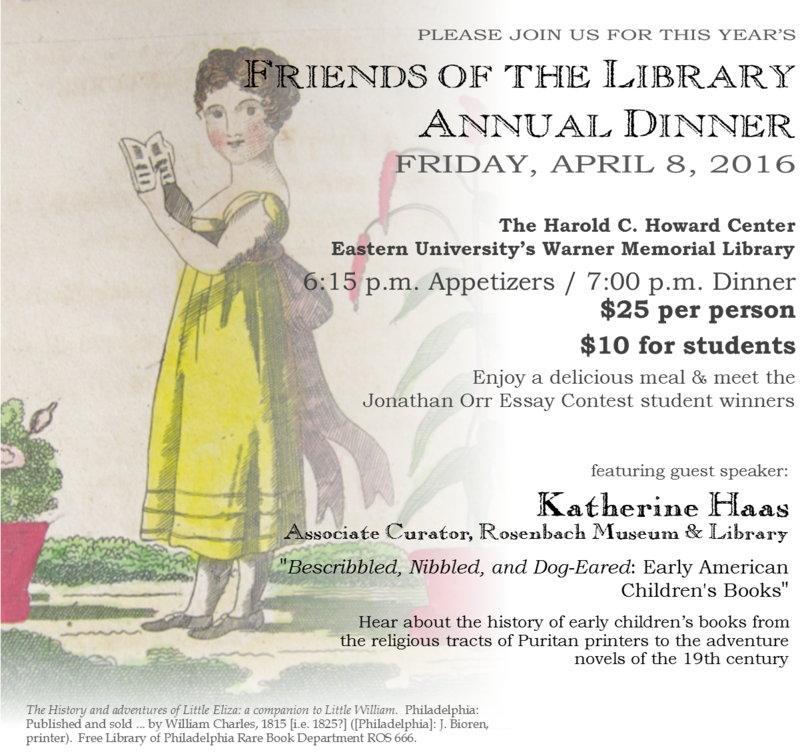 Contact Andrea Reed, Executive Director of Friends of the Library at areed@eastern.edu or 610-225-5004.